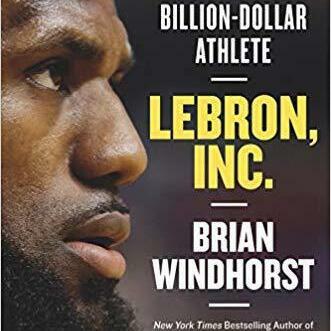 Audioboom / Brian Windhorst, ESPN NBA Insider and Author of the book LeBron Inc.
Brian Windhorst (@WindhorstESPN) joins us to discuss his new book LeBron Inc., which takes a look at the inner workings of the business empire that LeBron James and his team have built. Windhorst discusses how James has scored big with equity deals instead of taking flat fee endorsement deals, the business team he has surrounded himself with and the sneaker battle that took place to land James coming out of high school that resulted in Nike signing one of the most marketable athletes of this generation. Windhorst and Brian Berger also discuss Klutch Sports and James’ role with the agency led by Rich Paul, but heavily influenced by James’ star power. Get Brian Windhorst's new book LeBron Inc. on Amazon or available at bookstores everywhere.